The reason for this lies in the fact that World Rugby, formerly the International Rugby Board, has for over a hundred years acted in the interests of the so-called Home Unions: England, Ireland, Scotland and Wales. Whether the issue is a matter of improving the laws of rugby, abolishing the ridiculous ‘shamateurism’ rules, the establishment of a Rugby World Cup tournament, or a cap on countries poaching talent from other countries, World Rugby has virtually always reacted in a way designed to protect the Home Unions, even if it means that the interests of the wider world of rugby – especially in the southern hemisphere – are harmed by this intransigence. At a summit of rugby leaders in January at Los Angeles, World Rugby proposed a 12-team World League involving the Six Nations sides together with the four Rugby Championship sides, Japan and the USA. 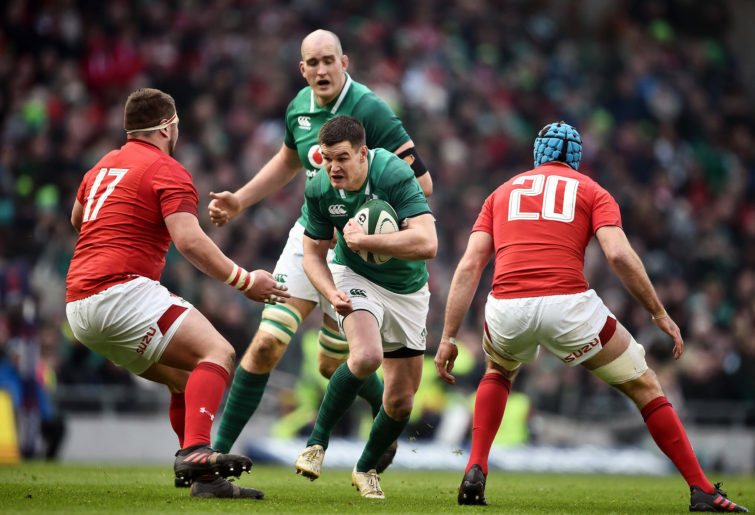 The suggestion was put forward that because the Six Nations does not have a promotion-relegation system, along with the Rugby Championship, that World League will run for 12 years without a promotion-relegation system. Apparently, opposition to a promotion-relegation system comes from Scotland and Italy, potential early candidates for relegation. The reason why we need a peg on the nose to even consider this proposal is that it would destroy rugby in the Pasifika nations and all the other minnow nations outside of the 12 favoured rugby nations. Gregor Paul, a tough-minded NZ Herald rugby journalist, makes this point very forcibly. 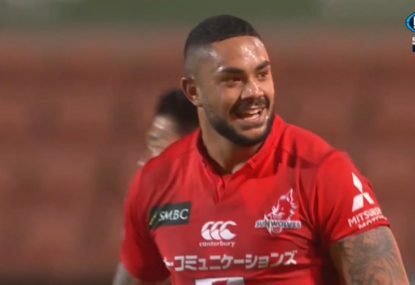 “The prospect of any of Fiji, Tonga or Samoa having credible international teams is dead if the World League, as it stands, becomes a reality,” Paul wrote. Also, and I am speculating here, but the broadcaster promoting the tournament would want no promotion-relegation system because Japan and the United States, two potentially massive markets, are the most vulnerable sides to be relegated. Each of the teams will play each other once each year in the World League tournament, with semi-finals and finals played in late November or early December. What happens in a Rugby World Cup when October/November are the designated months for playing the tournament are as yet unknown. A broadcaster has, apparently, put forward an offer that guarantees about $US 10 million to $US 14 million a season for each nation. World Rugby claims, without elaborating or giving convincing details, that the proposed tournament has generated high interest from supporters around the world. How accurate the claim is about high interest from supporters is debatable. World Rugby has made the claim but has not provided any hard evidence for it. But there is no debate about how unpopular the World League proposal is with players around the world if there is no annual promotion-relegation system built into the format. There will be another summit at Dublin where the World Rugby chairman Bill Beaumont and CEO Brett Gosper will try to push through the World League proposal. The World League was first mooted last November. Last week saw a tirade of attacks on the concept as many eminent people in the rugby world started to analyse just what was being proposed and how harmful to the world game these proposals will be. The tirade started on Thursday when the Rugby Players Association (RPA) issued a detailed statement titled: Players Highlight ‘Major Concerns’ Around World Rugby’s proposed International Competition. “The world’s top players have warned of serious ‘player welfare and integrity concerns’ around World Rugby’s proposed competition structure for the global game,” the statement reads. Pause here. RPA is claiming that the World League ‘format’ has already been taken to the market. But what format is being taken to the market? The RPA also raise concerns around player load involving multiple top-level Tests in different countries and time-zones on consecutive weeks, lack of opportunity for Tier Two nations to progress, and the potential impact on Rugby World Cup and Lions tours. My straw poll of one – myself – would insist that there would be far more interest in the Rugby World Cup tournament and in Lions tours than a sort of annual rugby ‘Big 12 Bash’ tournament. This position was endorsed by the Player Council member Kieran Read and England captain Owen Farrell. The bombshell in the RPA statement, however, came with this allegation and the response from Samoa’s captain. “The Players Council understands that promotion and relegation will not form part of the new proposal, preventing Tier Two and emerging nations from accessing top level competitive matches and creating a ceiling on their aspirations to advance and improve. And it is not only the European clubs that will benefit from this ‘knock-on’ effect. The Six Nations sides will benefit greatly by being more attractive to southern hemisphere players than they are already. Commentators in New Zealand have noted, for example, that there are 12 players in the Six Nations tournament this year who were eligible to play for the All Blacks. The RPA statement forced a media release from New Zealand Rugby Chief Executive Steve Tew. “Any new competition must have a pathway for new and developing countries to join including our Pacific neighbours,” Tew said. “We cannot add to the work load burden of our players without making other adjustments and we are also mindful of the role of our other competitions Investec Super Rugby and Mitre 10 Cup. Pause here. Is this a case of commercial interest being the key component? Doesn’t Tew’s statement indicate that the ‘Pacific neighbours’ will be given some crumbs, perhaps even a small slice of the cake, to somehow appease them in the interests of getting the 12-year no promotion-relegation rule through? If that small slice of the cake be a second-tier tournament with no rights for the winner to move up to the top tier for at least 12 years, then it is totally unacceptable. It is no concession worth having that the second-tier teams will be offered double the number of Tests they usually play but only against second-tier nations. Now let’s go to Friday’s media release from Raelene Castle on behalf of Rugby Australia concerning the proposed World League. “These exploratory discussions have been robust and complex, with player welfare, the growth of developing nations and protecting the great history of the game front and centre in the conversation,” Castle said. “The competition model must provide opportunities for the Pacific Islands nations and developing nations continuing to grow and compete with tier one nations. Now this is an important point to pay attention to. Neither Steve Tew nor Raelene Castle has categorically ruled out the no promotion-relegation proposal. If this is the case, why didn’t Castle and Tew mention SANZAAR’s view in their official media releases? My guess is that the no promotion-relegation edict is still very much part of the negotiations. The reason why I say this is because Gregor Paul has revealed these worrying details in the NZ Herald. 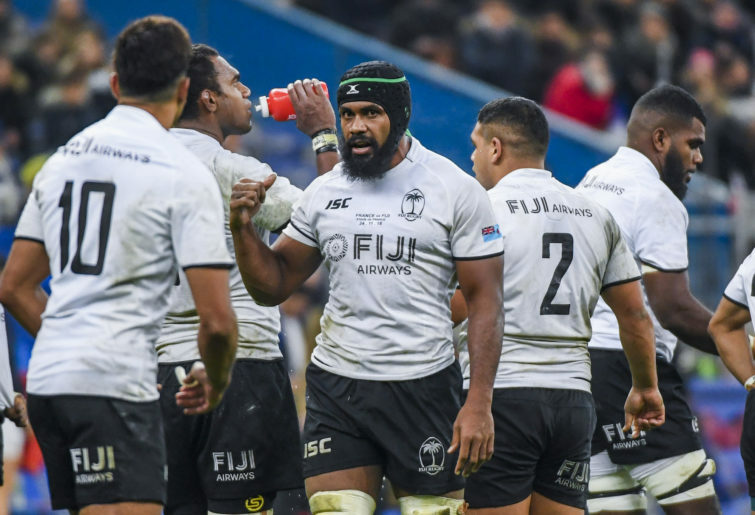 “Last November, Fiji were told they would be in the new competition along with Japan and the Rugby Championship and Six Nations sides,” Paul wrote. “But when the concept was put in front of potential broadcasters, they said they wanted something with more consumer reach – which was code for kick out Fiji and bring in the USA. “So neither Fiji nor player representatives were invited to the hastily scheduled meeting in Los Angeles where the new proposal was unveiled. There is something very underhand going on here. This brings us to the architect of the World League concept, World Rugby’s deputy chairman Agustin Pichot. 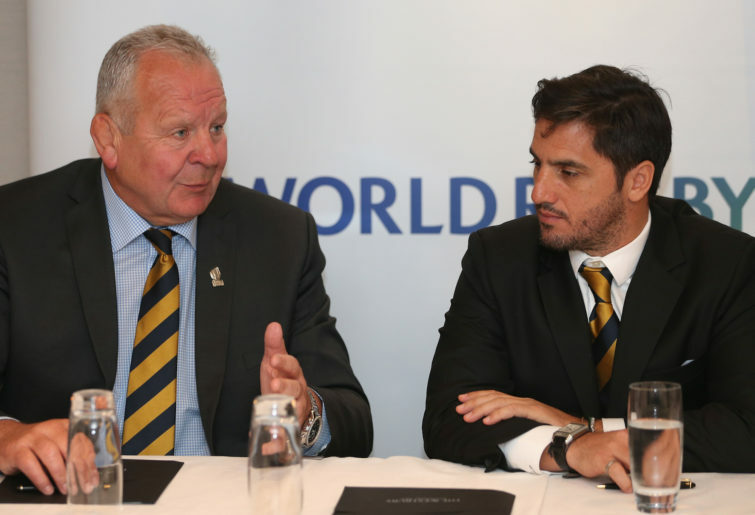 Pichot is next in line to be the chairman of World Rugby when Beaumont finishes his stint in the office. But he will only get there through the votes of the Home Unions. If the “twelve plus twelve” concept – Pichot’s phrase – is introduced without a promotion-relegation rule, Pichot’s elevation to the chairmanship of World Rugby will be assured. And with this, Argentina’s position as a world rugby power, on and off the field, entrenched for decades. Remember, it was Pichot who engineered the elevation of the Jaguares into the Super Rugby tournament and the Pumas into The Rugby Championship. This sounds rather like, it seems to me, Raelene Castle and Steve Tew saying that they will try hard but if they fail, they’ll take the money and run with the no promotion-relegation rule if they have to. Now I go back to Wayne Smith for a comment about Pichot in The Australian. This is right. And the same declaration must be made about Raelene Castle and the board of Rugby Australia. If they vote for a World League, without an annual promotion-relegation rule, they must be forced out of their positions. No ifs, no buts. Moreover, as it stands now, even with a promotion-relegation rule, the World League is just too problematical in too many areas for it to win the support of the rugby world. Back to the drawing board, Gus.